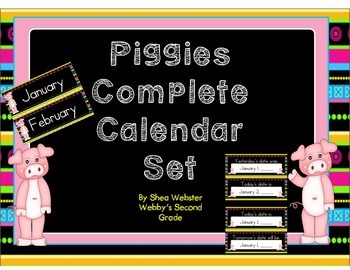 I was getting tired of writing out the date every morning so I made a calendar set that is typed. 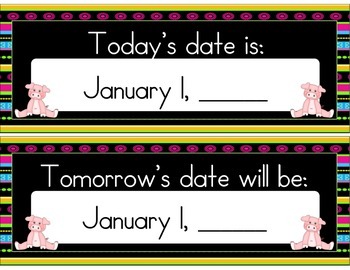 So every day you will have the date written for you. For example, you can hang up today's date, tomorrow's date, and yesterday's date. The only thing you have to write is the year. I bought a blank calendar and used paper clips to hang the days on it. You can see an example in my preview. In the preview the dates are blank. 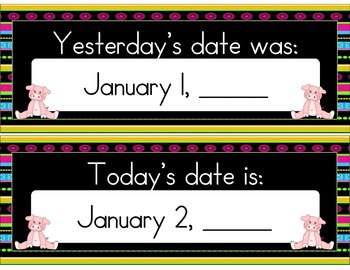 In this version, the date is typed for you. 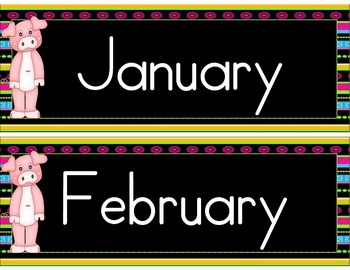 This is everything you will need to teach about the calendar There is also the dates for leap year. Over 500 slides!